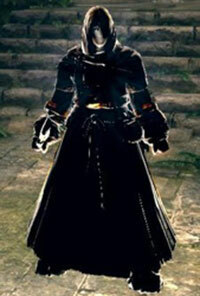 When connected to other players online for co-op or PvP, players who are guests in a host's world will appear as a phantom. 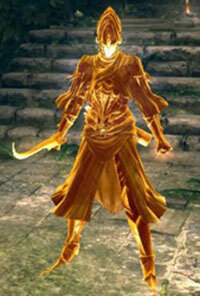 Phantoms are designated a recognizable color to establish their friendliness or hostility to a host. Some colors are shared by the available multiplayer items, meaning the phantom's color alone does not distinguish the covenant they belong to in all cases. This table assumes the Host is in human form. You may summon or be invaded by several NPC phantoms, and you don't need to be online for this to happen, although you still need to be in human form. Some NPC soul signs need certain events to happen before they appear. 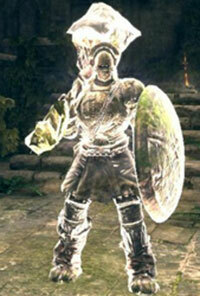 Dark Spirits will only spawn if the player is in human form and the area boss has not been defeated. This means that defeating a boss before being invaded by a particular NPC dark spirit will forever deny that dark spirit from appearing in that area on the current playthrough. There is one instance in the game where you can invade as a Spirit of Vengeance without being online. 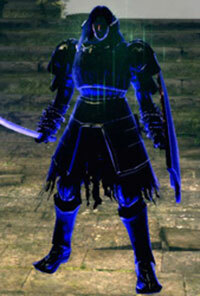 It's when you invade the world of Knight Lautrec the Guilty using the Black Eye Orb. 1. 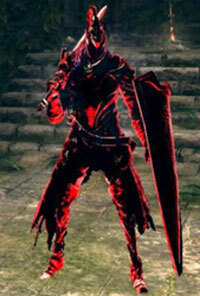 Asides from one in-game exception, where the blue Forest Hunter phantoms are called "Dark Spirits", like the red phantoms.